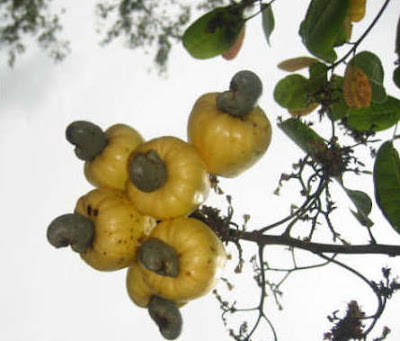 Village View Post: WHAT ARE THE HEALTH BENEFITS OF CASHEWS? Whether roasted, salted, sugared or covered in chocolate, the cashew nut, often used as a flavorful complement to appetizers, main dishes and desserts, packs a mix of nutrients and minerals not found in many common foods. Cashew nuts, are actually seeds, found growing on the end of the cashew apple, an edible and nutrient rich treat that is too fragile to export to North America or Europe . 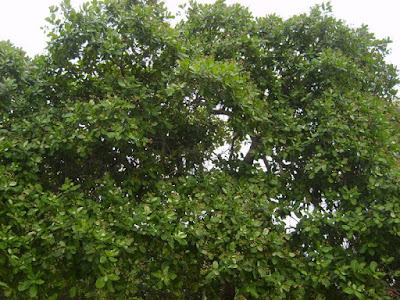 Also known by the botanical name Anacardium occidentale, the cashew is a close relative of mangos, pistachios, poison ivy and poison oak. It was first introduced on a worldwide scale by Portuguese explorers in South America in the 16 th century, but international trade didn’t take off until the 1920s. Sometimes called “nature’s vitamin pill,” cashew nuts, which now rank #1 among nut crops in the world with 4.1 billion pounds produced in 2002 , have been used to promote wellness for centuries. The cashew tree’s leaves and bark as well as the popular cashew apple possess herbal health benefits that include killing bacteria and germs, stopping diarrhea, drying secretions, increasing the libido, and reducing fever, blood sugar, blood pressure and body temperature. The cashew nut, a popular treat found on grocery and health food store shelves across the world, is jam-packed with nutritional content. It packs 5 grams of protein per ounce and high levels of the essential minerals iron, magnesium, phosphorus, zinc, copper and manganese, which are utilized in holistic health solutions and healthy diets. With no cholesterol, a rarity for such a tasty and pleasing treat, cashew nuts are a healthy fat food for heart patients. And because of their high levels of monounsaturated fatty acids, they also help support healthy levels of low good (HDL) cholesterol. The cashew nut’s high magnesium content also takes the credit for its healthy heart qualities. In their raw form, cashews contain 82.5 milligrams of magnesium per ounce, or 21 percent of the daily recommended value of the heart healthy mineral, which also protects against high blood pressure, muscle spasms, migraine headaches, tension, soreness and fatigue. 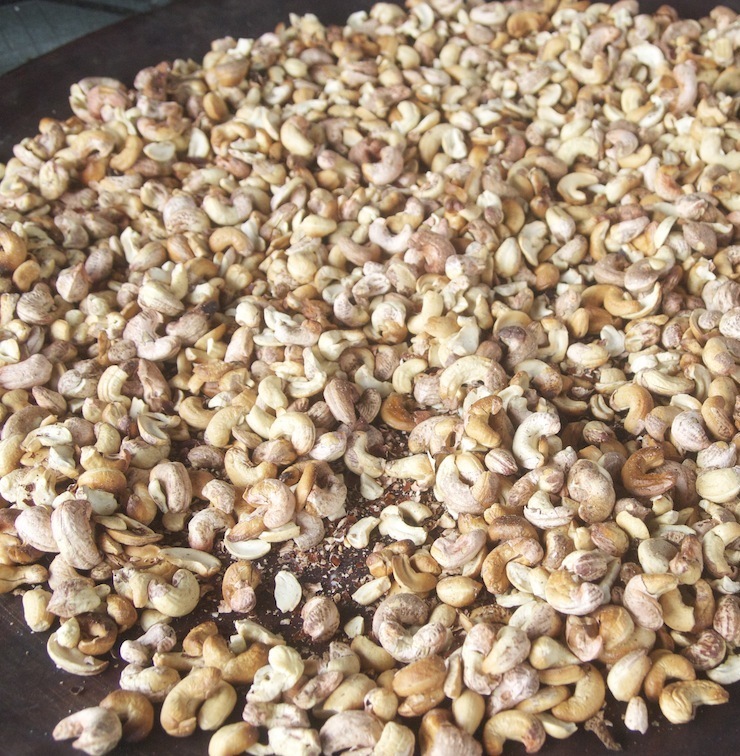 And with a high copper content, too, cashew nut consumption helps the body utilize iron, eliminate free radicals, develop bone and connective tissue, and produce the skin and hair pigment melanin. Copper, which is an essential component of the enzyme superoxide dismutase, is vital in energy production and antioxidant defense, producing greater flexibility in blood vessels, bones and joints. And with 37.7 percent of the daily recommended value of monounsaturated fats, cashews can reduce triglyceride levels in diabetics, protecting them from further complications. Integrating frequent nut consumption into your diet, especially raw cashews, may lower the risk of developing Type 2 Diabetes, the most commonly diagnosed form of diabetes in America today. All nuts, including the cashew nut, have been associated with a reduced risk of gallstone disease. According to the Nurses’ Health Study, looking at the dietary data of 80,718 women, integrating at least one ounce of nuts a week, such as cashews, gives women a 25 percent lower risk of developing gallstones. Eating cashew nuts at moderate levels, some say, can eliminate abscessed teeth, though this has not been proven yet by proper clinical trials. While the cashew nut is most enjoyed when eaten, it also possesses astringent qualities that are now used in topical creams and gels. A Philippine scientist who has made a career out of studying the health benefits of cashew nut extract markets the extract in a cream for warts, moles and other skin growths. The Philippine-produced cream is also reportedly effective on basal cell carcinoma; the most common type of skin cancer, though this too is not yet available in the U.S. Always check your cashews for freshness before you dig in. While cashews have a high amount of the stabilizing oleic acid, a monounsaturated fatty acid, they should always be stored in a tightly sealed container in a cool, dry place. And don’t eat too many at once. Because of their high fat content, over consumption of cashew nuts can cause unwanted weight gain in individuals. The oxalates in cashews can also become concentrated in body fluids, crystallizing and causing health problems in people with preexisting kidney or gallbladder problems. With cashew nuts, moderation is the key in reaping the health and flavor benefits of nature’s treat.